'My mum had a long history of unusual punishments - And now, thanks to the sticky-taping incident - she announced that she was buying me a pet.' 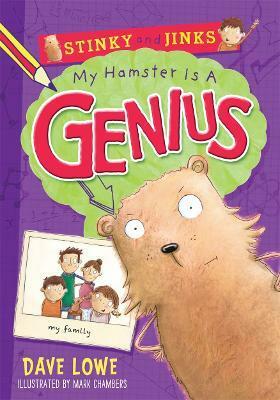 Meet nine year old Benjamin Jinks and his grumpy hamster, Jasper Stinkybottom. Benjamin is a very normal boy who hates maths. Stinky is a genius hamster, who likes carrots. Together they are an unstoppable team! But can they overcome the evil scheming of Ben's maths teacher, Beardy McCreedy? New talent Dave Lowe's first adventure is brilliantly brought to life by illustrator Mark Chambers in this hilarious read.